AlKaram is the leading and popular fashion brand, which has introduced the unique and wonderful dress collections on number of times. The fabrics are prepared in exquisite shades and they have been ornamented with the innovative and intricate embroidery work to give the perfect and wonderful look for different occasions. This collection explored the poetic and surreal Umar hayat haveli, in the center of Chiniot city. 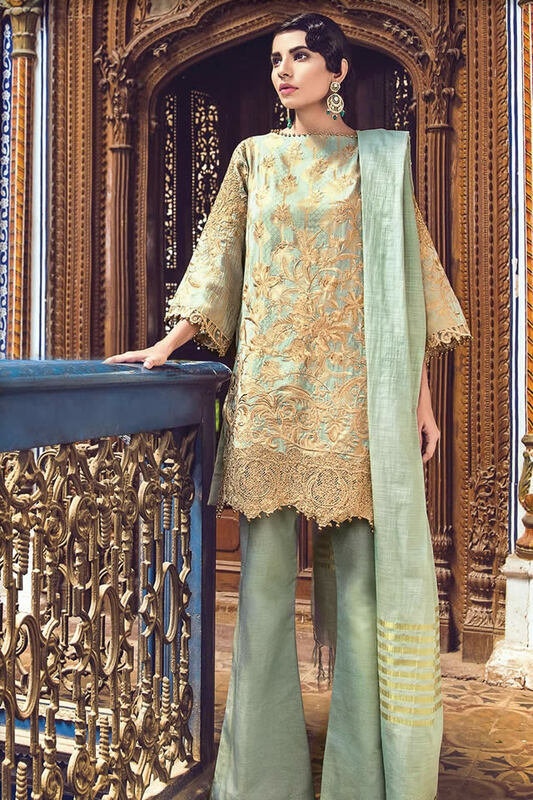 The women and girls will watch the royal architecture of historic haveli complements the festive collection 2018 of this fashion label. The dresses are great for the women to wear on the party and formal wear and for the summer season.